This multi-author book by experts in Central Asia draws together the key issues that confront the peoples of these lands as the New Silk Road takes shape. The Editors provide an overview of information and background about rangelands, grasslands and pasturelands in nine Silk Road countries as well as their productivity and ecological function. 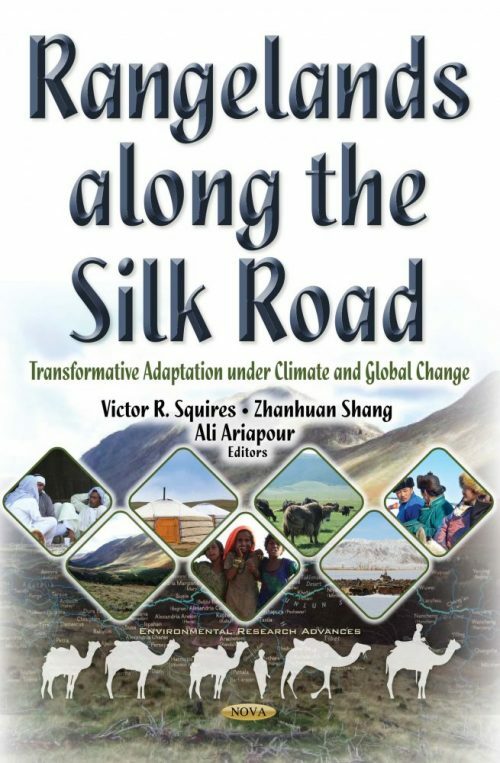 The authors discuss the status, future prospects and strategies to achieve sustainable management of rangelands and grasslands in the context of the infrastructure developments and other New Silk Road building activities in Central Asia. They identify problems and hazards associated with global change, including climate change in Silk Road countries. This book will act as a vehicle to promote knowledge useful for managing rangelands, grasslands and pasture lands along the Silk Road, from Mongolia in the East to Iran in the West. No region of the world has such vast and largely undeveloped areas of land that is so strategically placed between Europe to the west, Asia to the east, and Russia acting as huge presence to the north. For ages, these vast lands have been the conduit through which trade, commerce, learning and religious beliefs have spread. For millennia, the resource base (rivers, lakes, and various types of land including vast steppes, grasslands and other forms of rangelands) have supported lives and livelihoods of millions of people, as goods and ideas flowed in both directions along the vast network of trade routes that came to be known as the Silk Road. In the past, there have been many challenges, not the least of which was the issue of distance (over 6000 km. from China to the eastern edge Europe). In modern times, there has been a renewed interest in these vast lands that contain the world’s highest mountains, some of the driest deserts and provide sustenance for millions of people and their livestock as well as an irreplaceable wealth of plant and animal diversity. Accelerated economic activity, which is mainly infrastructure development (pipelines, highways, railways), is both a threat and an opportunity especially when set against a background of global change, including climatic shifts that threaten water supplies and livelihoods on a scale never before experienced. Chapter 6. Rangeland and Grassland in Gansu-Xinjiang China, and its Function in Silk Road and Future? Chapter 15. Transformation in Pasture use in Kyrgyzstan. What are the Costs of Pasture Degradation?